Mirena IUD side effects have led to serious health concerns for countless women across the United States, and this growing problem has led to many to issue calls for a Mirena IUD recall. Millions of women need the help of some sort of birth control product to avoid unwanted pregnancies, and Bayer Healthcare provided them with Mirena IUD in 2000 when it was originally approved for use in the United States by the FDA. Since then, Mirena has been approved for use in controlling heavy menstrual bleeding as well as for birth control, but this expansion of use has only increased the number of calls being made to Mirena IUD attorneys across the country. Sepsis – A severe response by the whole body to the presence of bacteria or germs. Sepsis can be fatal. 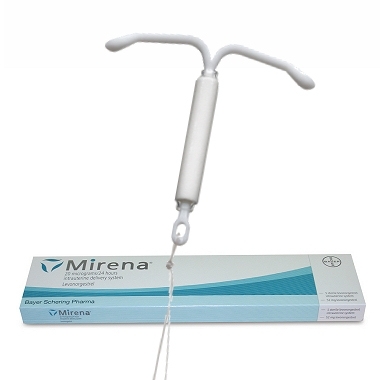 Uterine wall perforation – Mirena IUD attorneys have heard many stories about how this product would embed itself into the uterine wall, leading to perforation and internal bleeding. Intestinal perforation – One of the alleged Mirena IUD side effects involved the product migrating farther into the body and ultimately perforating the wall of the intestines. Ectopic pregnancies – Ectopic pregnancies are those that occur outside the uterus, and many women will not realize that this is happening until they face severe, even life-threatening medical consequences. There have been other alleged Mirena IUD side effects, but those listed above are severe enough that people need to reach out to Mirena IUD attorneys if they have faced any of these challenges. Estimates indicate that as many as 5,000 women have suffered because of using this product, which is what basically stands behind the push for a Mirena IUD recall by many people. In the absence of a Mirena IUD recall, consumers who suffer from Mirena IUD side effects have little choice but to obtain legal help. While Bayer Healthcare to this point has resisted calls for a Mirena IUD recall, the company has not avoided the lawsuits that have been filed in different jurisdictions across the United States. However, taking on an enormous corporation is very challenging for any individual consumer, and people in this difficult position need to make sure that they provide themselves with the best opportunity for success. If you or someone you love has been harmed in this manner, contact the Mirena IUD attorneys at Parilman & Associates today to schedule a free initial consultation,800-391-8000.